Bexhill Cricket Club is targeting a victory against the reigning Sussex Premier League champions to get right back in the title mix. Bexhill have dropped two places to fourth and are 45 points behind leaders East Grinstead following last weekend’s defeat at Preston Nomads, but a win at home to third-placed Roffey tomorrow (Saturday) would rekindle their bid for top spot. They (Roffey) are still in pole position to win the league because they’ve got a game in hand, but we definitely think we can beat them. “We’ve got to play Roffey and Grinstead both at home, which is massive for us,” said Bexhill captain Johnathan Haffenden. “We take 60 points from that and we’re right back amongst it again. Roffey are 19 points and one place above Bexhill, and in the end were fairly comfortable winners in the reverse fixture, although Bexhill felt it was one that got away. 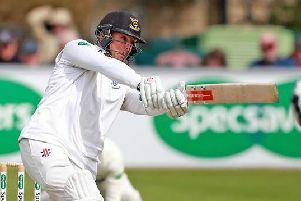 “We were very disappointed that we put in a great effort with the ball up there and threw away probably seven wickets (with the bat),” Haffenden continued. “When you bowl a side out for 200 you should chase it down and we felt it was a massive missed opportunity. “We’re just taking it game by game, but we will be looking to win Saturday. We’ve had a great season as it is, but now we’re in this position, we don’t want to let up. Callum Guest and Tim Hambridge should return, and Bexhill are hoping Ashar Zaidi will be available after missing last weekend’s game while playing for Sussex. Play is due to get under way from 12noon at The Polegrove. Bexhill’s remaining Sussex Premier League fixtures: tomorrow (Saturday) Roffey (h), August 22 Cuckfield (a), August 29 East Grinstead (h), September 5 Eastbourne (a).